These Conditions apply to and govern the supply of IT related Goods and/or Services by BLUEMOON SOLUTIONS LTD a company incorporated in England and Wales under number 05538799 whose registered office is at 4 Spencer Road, Wellingborough, and Northants, NN8 2QB. 1.2 The headings in these Conditions are for ease of reference only; they do not affect the interpretation or construction of these Conditions. 1.3 Any typographical, clerical or other error or omission in any sales literature, price list, Quotation, acceptance of offer, invoice or other document or information issued by BLUEMOON SOLUTIONS LTD shall be subject to correction without any liability on the part of BLUEMOON SOLUTIONS LTD.
2.2 Following a request from a prospective Customer to provide the Goods and/or Services, BLUEMOON SOLUTIONS LTD will usually issue a Quotation to that Customer either formally in a standard sales order document or informally in a written email for those Services with the Customer. That Quotation is open to acceptance by the prospective Customer for 30 days after its date. 2.3 If the Customer accepts the Quotation within that 30 day period, the Contract between the Customer and BLUEMOON SOLUTIONS LTD will be formed for the supply of the Goods and/or Services and that Contract will be subject to these Conditions. 2.4 A customer may engage BLUEMOON SOLUTIONS LTD to supply Ongoing–Services where the issuing of a Quotation for each Service Desk Request would be considered impractical. In such engagement BLUEMOON SOLUTIONS LTD will issue a Quotation to that Customer either formally in a standard sales order document or informally in a written email for those Ongoing-Services with the Customer. If a Customer accepts the Quotation the Ongoing-Services the Contract is deemed to have been formulated and each request will be managed within BLUEMOON SOLUTIONS LTD Service Desk and additional Terms will be applied under Condition 4 of this Agreement. 2.5 If the Customer asks BLUEMOON SOLUTIONS LTD to proceed to supply any of the Goods and/or Services listed in a Quotation or in any contract; gives BLUEMOON SOLUTIONS LTD instructions for any Goods and/or Services; or issues any purchase order for any Goods and/or services, the Customer will be deemed to have accepted BLUEMOON SOLUTIONS LTD’s Quotation. 2.6 If a prospective Customer does not accept BLUEMOON SOLUTIONS LTD’s quotation within that 30 day period, but later purports to accept it, the purported acceptance will be an offer to treat. If a prospective Customer places an order with BLUEMOON SOLUTIONS LTD without BLUEMOON SOLUTIONS LTD first having issued a Quotation, that order will be an offer to treat. In either of those circumstances a contract will only come into existence if and when BLUEMOON SOLUTIONS LTD accepts the Customer’s offer. BLUEMOON SOLUTIONS LTD may decline the Customer’s offer as BLUEMOON SOLUTIONS LTD sees fit. 2.7 BLUEMOON SOLUTIONS LTD may revise these Conditions at any time by publishing new or revised Conditions on its website. If a Quotation is accepted by the Customer after the new or revised Conditions have been published on BLUEMOON SOLUTIONS LTD’s website, those new or revised Conditions will apply to the supply of those Goods and/or Services. 2.8 If there is any conflict or inconsistency between these Conditions and any Quotation or Contract, the Quotation and Contract will prevail. If there is any inconsistency between these Conditions and any content on BLUEMOON SOLUTIONS LTD’s website, these Conditions will prevail. 3.2 Delivery of the Goods shall be made to the Customer address. The Customer shall make all arrangements necessary to take delivery of the Goods on the day notified by BLUEMOON SOLUTIONS LTD for delivery. 3.3 BLUEMOON SOLUTIONS LTD undertakes to use its reasonable endeavours to despatch the Goods on an agreed delivery date, but does not guarantee to do so. Time of delivery shall not be of the essence of the contract. 3.4 BLUEMOON SOLUTIONS LTD shall not be liable to the Customer for any loss or damage whether arising directly or indirectly from the late delivery or short delivery of the Goods. If short delivery does take place, the Customer undertakes not to reject the Goods but to accept the Goods delivered as part performance of the contract. 3.5 If the Customer fails to take delivery of the Goods on the agreed delivery date or, if no specific delivery date has been agreed, when the Goods are ready for despatch, BLUEMOON SOLUTIONS LTD shall be entitled to store and insure the Goods and to charge the Customer the reasonable costs of so doing. 3.6 BLUEMOON SOLUTIONS LTD warrants that the Goods will at the time of delivery correspond to the description set out within the quotation and of which the customer has agreed to by confirming the order. 3.7 The Customer shall be deemed to have accepted the Goods [48 hours] after delivery to the Customer. 3.8 The Customer shall carry out a thorough inspection of the Goods within [48 hours] of delivery and shall give written notification to BLUEMOON SOLUTIONS LTD within 5 working days of delivery of the Goods of any defects which a reasonable examination would have revealed. 3.9 Where the Customer has accepted, or has been deemed to have accepted, the Goods the Customer shall not be entitled to reject Goods which are not in accordance with the contract. 3.10 Risk shall pass on delivery of the Goods to the Customers address. 3.11 Notwithstanding the earlier passing of risk, title in the Goods shall remain with BLUEMOON SOLUTIONS LTD and shall not pass to the Customer until the amount due under the invoice for them (including interest and costs) has been paid in full. 3.12 Until title passes the Customer shall hold the Goods as bailee for BLUEMOON SOLUTIONS LTD and shall store or mark them so that they can at all times be identified as the property of BLUEMOON SOLUTIONS LTD.
3.13 BLUEMOON SOLUTIONS LTD may at any time before title passes and without any liability to the Customer: (a) repossess and dismantle and use or sell all or any of the Goods and by doing so terminate the Customers right to use, sell or otherwise deal in them; and (b) for that purpose (or determining what if any Goods are held by the Customer and inspecting them) enter any premises of or occupied by the Customer. 3.14 BLUEMOON SOLUTIONS LTD may maintain an action for the price of any Goods notwithstanding that title in them has not passed to the Customer. 4.1 BLUEMOON SOLUTIONS LTD will use reasonable endeavours to carry out the Services with reasonable skill and care and to industry best practise. BLUEMOON SOLUTIONS LTD will endeavour to complete the Services by any Estimated Completion Date agreed with the customer, but any such Estimated Completion Date is an estimate only, and BLUEMOON SOLUTIONS LTD will not be liable for any delay or failure to deliver or perform in accordance with an Estimated Completion Date. 4.2 Any delay by the Customer caused by the customer in allowing BLUEMOON SOLUTIONS LTD to complete the services by any Estimated Completion Date agreed or in paying any Fees to BLUEMOON SOLUTIONS LTD will give BLUEMOON SOLUTIONS LTD the right to delay delivery of those Services by a reasonable amount of time taking into account the delay by the Customer and the availability of BLUEMOON SOLUTIONS LTD’s resources. 4.3 Once the Services have been completed BLUEMOON SOLUTIONS LTD will confirm with the customer the delivery and acceptance of those services before closing the Service Desk Ticket allocated to that particular request. 4.4 The closing of a Service Desk Ticket by BLUEMOON SOLUTIONS LTD is confirmation that a service requested by the customer has been completed and an invoice will be created requesting payment for those services provided. 4.5 Should a customer feel that a particular service request has not been completed to an acceptable standard the customer can within 5 working days re-open a Service Desk Ticket. BLUEMOON SOLUTIONS LTD will in an acceptable time limit respond to the customer and inform them upfront of any additional fees that may be incurred to complete that request to the acceptable standard. 4.6 As part of a service provided to you by BLUEMOON SOLUTIONS LTD you may be allowed to use certain software (including related documentation) provided by third party licensors. This software is neither sold nor distributed to you and you may use it solely as part of the services provided to you under agreement and subject to BLUEMOON SOLUTIONS LTD terms of service and any terms of service as made by the third party vendor including, but not limited to, warranties (if any), ownership of intellectual property and permitted use. You may not transfer such software outside the BLUEMOON SOLUTIONS LTD service without specific authorisation to do so. 5.1 The Customer will pay the Fees. Unless otherwise agreed in writing, payment of all invoices will be made by the Customer to BLUEMOON SOLUTIONS LTD in full in Pounds Sterling as invoiced, on the delivery of the requested goods. 5.2 All prices are exclusive of VAT unless otherwise stated and the Customer will pay any and all tax duties and other government charges payable in respect of the goods in accordance with UK legislation in force at the tax point and all other taxes and duties payable in connection with the supply of the Services to the Customer and its export and import into any territory. 5.3 In the event of late payment by the Customer BLUEMOON SOLUTIONS LTD will be entitled, without limiting any other rights and remedies it may have: (a) suspend any services and/or cancel any of its outstanding obligations under the Contract (b) pass on any legal costs in relation to the recovery of overdue accounts; and (c) charge interest on any outstanding amount accruing from time to time at the rate of 4% per annum above the base rate from time to time of the Bank of England or the amount prescribed in the Late Payment of Commercial Debts (Interest) Act 1998 (whichever is greater) from the due date until the outstanding amount is paid in full. 5.4 The Customer will have no right to set off any amounts owing to it by BLUEMOON SOLUTIONS LTD against unpaid invoices due to BLUEMOON SOLUTIONS LTD.
5.5 BLUEMOON SOLUTIONS LTD shall have the right for reasonable cause to withdraw or refuse credit facilities or to require from the Customer cash on or before delivery or security for payment and to withhold delivery until such requirement is complied with. 6.1 The Customer will pay the Fees. Unless otherwise agreed in writing, payment of all invoices will be made by the Customer to BLUEMOON SOLUTIONS LTD in full in Pounds Sterling as invoiced, no later than thirty (30) days from the date of an invoice. 6.2 All prices are exclusive of VAT unless otherwise stated and the Customer will pay any and all tax duties and other government charges payable in respect of the goods in accordance with UK legislation in force at the tax point and all other taxes and duties payable in connection with the supply of the Services to the Customer and its export and import into any territory. 6.3 In the event of late payment by the Customer BLUEMOON SOLUTIONS LTD will be entitled, without limiting any other rights and remedies it may have: (a) suspend any services and/or cancel any of its outstanding obligations under the Contract (b) pass on any legal costs in relation to the recovery of overdue accounts; and (c) charge interest on any outstanding amount accruing from time to time at the rate of 4% per annum above the base rate from time to time of the Bank of England or the amount prescribed in the Late Payment of Commercial Debts (Interest) Act 1998 (whichever is greater) from the due date until the outstanding amount is paid in full. 6.4 The Customer will have no right to set off any amounts owing to it by BLUEMOON SOLUTIONS LTD against unpaid invoices due to BLUEMOON SOLUTIONS LTD.
6.5 BLUEMOON SOLUTIONS LTD shall have the right for reasonable cause to withdraw or refuse credit facilities or to require from the Customer cash on or before delivery or security for payment and to withhold delivery until such requirement is complied with. 7.1 BLUEMOON SOLUTIONS LTD shall warrant from the date of delivery for a period of three months the goods and all their component parts, where applicable, are free from any defects in design, workmanship, construction or materials. Any additional warranties described in the specification document are manufacturer’s warranty only. 7.2 Where a component part fails leading to a device reset within the initial three months from date of delivery, the time attributable to that reset will be covered by the warranty agreement supplied by BLUEMOON SOLUTIONS LTD.
7.3 Where a component part fails leading to a device reset after the initial three months from date of delivery, the time attributable to that reset will not be covered by the warranty agreement supplied by BLUEMOON SOLUTIONS LTD and will be fully chargeable unless specifically agreed up-front with the Customer. Any claim by the Customer to the manufacturer is outside the scope of the agreement and shall not deviate against the Payment of invoices and the terms set out in this Agreement. 7.4 BLUEMOON SOLUTIONS LTD shall not be responsible for any loss of data or monies due to the failure of any goods supplied either within the initial three month warranty period supplied by BLUEMOON SOLUTIONS LTD or post that initial three month period. It will remain the responsibility of the Customer to ensure that suitable measures are in place for the continuity of service and recovery of data loss. 8.1 BLUEMOON SOLUTIONS LTD shall warrant that the services provided will conform to the service descriptions under normal use. 9.1 Nothing in these Conditions limits BLUEMOON SOLUTIONS LTD’s liability for fraud, or death, or personal injury arising as a result of BLUEMOON SOLUTIONS LTD’s negligence or any other liability which may not, by law, be excluded. 9.3 Subject to Condition 9.1, BLUEMOON SOLUTIONS LTD will not be liable to the Customer for any of the following: loss of profit, loss of revenue, loss of savings, loss of opportunity, loss of business and loss of goodwill (in each case whether direct or indirect) or for any indirect loss, damage, costs, expenses and other claims (whether caused by the negligence of BLUEMOON SOLUTIONS LTD, its servants, agents sub-contractors or otherwise) which arise out of or in connection with Goods and/or the Services or the Contract. 10.2 Subject to the remaining provisions of this Condition 10, neither party will use (except for exercising its rights and performing its obligations under the Contract), will keep confidential and not divulge to any third party any and all confidential information of the other party (whether oral, written or recorded or disclosed in any other form, and whether disclosed on, before or after the date of the Contract) concerning any of the following: the business, affairs, plans, technology, know-how, products and services of the other party without the other party’s prior written consent. 10.3 The restriction contained in Condition 10.2 will not apply to any information which: (a) was already in the receiving party’s possession or at its free disposal before its disclosure by the disclosing party; or (b) is disclosed after the date of the Contract to the receiving party without any obligations of confidence by a third party who has not derived it directly or indirectly from the disclosing party; or (c) is or becomes generally known anywhere in the world through no act or default on the part of the receiving party; or (d) is independently developed or discovered by the receiving party’s personnel without use of or reliance upon information provided by the disclosing party. 10.4 Nothing in this Condition 10 will prevent either party from making any disclosure required by law, or by the order of any court of competent jurisdiction or any regulatory authority. 11.1 Where BLUEMOON SOLUTIONS LTD processes any Personal Data on the Customer’s behalf when providing the Services, the parties agree that the Customer will be the Data Controller and BLUEMOON SOLUTIONS LTD will be a Data Processor or pass on that Data Processor role to Third Party Vendors who are providing the Third Party Vendor Services with BLUEMOON SOLUTIONS LTD acting as an agent or reseller. 11.3 The Customer will ensure that it is entitled to transfer those Personal Data to BLUEMOON SOLUTIONS LTD so that BLUEMOON SOLUTIONS LTD may lawfully use, process and transfer those Personal Data in accordance with the Contract on the Customer’s behalf. 11.4 The Customer will ensure that all Data Subjects have been informed of, and have given their consent to, such use, processing, and transfer as required by the Data Protection Act 1998 and the General Data Protection Regulation 2017. 11.6 Where services provided by BLUEMOON SOLUTIONS LTD may either solely or partially make use of Third Party Vendors Services those services may be subject to the Terms of Service of the Third Party Vendor and give the Third Party Vendor non-exclusive, worldwide, royalty-free, license to use, modify, reproduce and distribute you data only as required to provide the services to which you have subscribed. 11.7 BLUEMOON SOLUTIONS LTD will take appropriate technical and organisational measures against unauthorised or unlawful processing of those Personal Data or their accidental loss, destruction or damage, having regard to the state of technological development, the cost of implementing any measures, the harm which might result from such unauthorised or unlawful processing or accidental loss, destruction or damage, and the nature of the data to be protected. 11.10 BLUEMOON SOLUTIONS LTD will notify the Information Commissioners Office (ICO) and the customer of any breach that may result in a risk to the rights and freedoms of natural persons as required by the Data Protection Act 1998 and the General Data Protection Regulation 2017 including services directly provided by BLUEMOON SOLUTIONS LTD or provided by Third Party Vendors Services that affect our customers. 12.1 BLUEMOON SOLUTIONS LTD will not be liable for any failure to fulfil the Contract or any term or Condition of the Contract if fulfilment has been delayed, hindered or prevented by circumstances beyond its reasonable control including but not limited to fire, explosion, flood, tempest, unusually adverse weather Conditions, failure or shortage of power supplies, fault or failure of plant or machinery, war, hostilities, riot, acts of terrorism, strikes, lock-outs or other industrial action or trade dispute (“a Force Majeure Event”). 12.2 BLUEMOON SOLUTIONS LTD will promptly notify the Customer if a Force Majeure Event arises and during the period in which BLUEMOON SOLUTIONS LTD is prevented from performing the Contract the Customer will be entitled after giving BLUEMOON SOLUTIONS LTD written notice of its intention to do so to purchase products elsewhere at its own cost and risk and BLUEMOON SOLUTIONS LTD shall not be obliged to make up deficiencies which arise as a result. 12.3 If a Force Majeure Event exceeds one month BLUEMOON SOLUTIONS LTD may cancel the Contract without liability. 13.1 Either party may terminate the Contract immediately by written notice to the other if the other party: (a) commits any material breach of any of the provisions of this Agreement and, in the case of a breach capable of remedy, fails to remedy that breach within 30 days after receipt of a written notice giving particulars of the breach and requiring it to be remedied or (b) has a receiver, administrative receiver or administrator appointed over all or any of its assets or undertaking or, except for the purposes of a solvent amalgamation or reconstruction, enters into liquidation, enters into any composition or arrangement with or for the benefit of its creditors or enters into any similar or analogous arrangement existing under the law of any country or ceases to carry on business. 13.2 The termination of the Contract, by either party in accordance with this Condition 12 will be without prejudice to any other rights or remedies of that party accrued prior to termination. 13.3 On termination of the Contract for any reason the Customer will immediately pay to BLUEMOON SOLUTIONS LTD any Fees or other amounts due under the Contract. 14.1 No Partnership etc – Nothing in these Conditions creates, implies or evidences any partnership or joint venture between BLUEMOON SOLUTIONS LTD and the Customer, or the relationship between them of principal and agent. 14.2 Third Party Rights – No third party is entitled to the benefit of this Agreement under the Contracts (Rights of Third Parties) Act 1999 or otherwise. 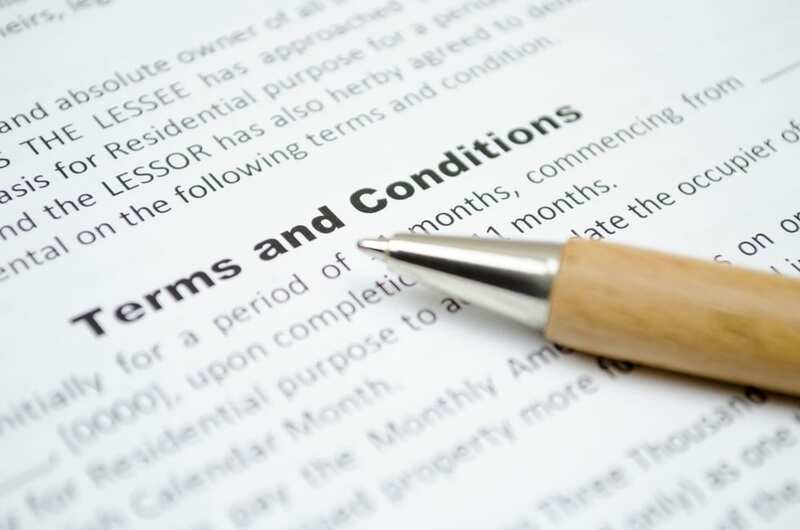 14.3 Assignment and Subcontracting – The Customer may not assign or otherwise deal with the Contract or any part of it without obtaining the prior written consent of BLUEMOON SOLUTIONS LTD. BLUEMOON SOLUTIONS LTD may perform any of its obligations or exercise any of its rights under the Contract by itself or through a BLUEMOON SOLUTIONS LTD Affiliate, provided that any act or omission of any BLUEMOON SOLUTIONS LTD Affiliate shall be deemed to be the act or omission of BLUEMOON SOLUTIONS LTD. BLUEMOON SOLUTIONS LTD may also assign or transfer the Contract or any part of it to any other person. 14.4 Severability – If any provision of these Conditions is held by any competent authority to be invalid or unenforceable in whole or part the validity of the other provisions of these Conditions and the remainder of the provision in question shall not be affected. 14.5 Notices – Any notice permitted or required under the Contract will be in writing and will be sent to the contact address, or e-mail address of the other party set out in the Quotation or Contract any other address or e-mail address which that party may designate by notice given to the other party in accordance with this Condition 13. Any notice may be delivered personally, or by first class pre-paid letter or by e-mail and will be deemed to have been served: if by hand, when delivered; if by first class post, 48 hours after posting; and if by e-mail, on that e-mail being accessible by the intended recipient. 14.6 Waiver – No waiver or delay by BLUEMOON SOLUTIONS LTD in enforcing its rights will prejudice or restrict those rights and no waiver of any right will operate as a waiver of any later right or breach. 14.7 Governing Law and Jurisdiction – The Contract shall be governed and construed in accordance with the laws of England. The English Courts will have exclusive jurisdiction to deal with any dispute which may arise out of or in connection with the Contract.